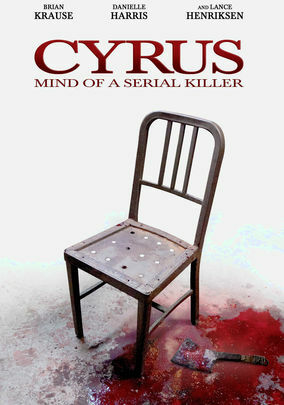 It's possible for a film to have a cool title, cover, and even preview, but still be a complete waste of time, enter Cyrus: Mind of A Serial Killer. In a remote Midwestern community, over a hundred women have disappeared over the last twenty years. Not wanting to create a panic, the local authorities have explained away most as accidents and isolated incidents, while they search for the truth. The cover up has worked until a local reported is contacted by a man who claims to not only know the truth, but know who the killer is. The film is laid out in a flashback, as this mysterious man tells the life story of this man, Cyrus, and what created him, what he did, how he did it, and why. Just one problem, it's boring! This film is supposed to be an inside look at a serial killer and what makes him tick, how he operates, but not only does it move as slow as molasses, but you really don't even see much of anything! This is an independent film about a serial killer!? Where's the gore, blood, insanity? It's more like watching a documentary on the History channel. As for the cast, Brian Krause isn't a bad actor, but certainly not someone I would ever think of as a serial killer, he's just very quiet and emotionless throughout, in other words, boring. The old man, Lance Hendriksen, sits in a chair and tells a story the whole time, also boring. The producers of this film built it up to be this huge thing, an inside look at a serial killer the likes of which we've never seen before, and they were right, I've never been so bored watching a horror thriller in my entire life!